Quoting Erick Ayapana from the Motor Trend article, 15 Cars with The Most Beautiful Lights: “For some cars, lights not only illuminate the road ahead but also serve as a distinctive styling element that can sometimes be the most interesting part of a car’s overall design”. Now based on that quote why would we ever be discussing this in a Checker Blog, the classic Checker’s four quad round headlamps are anything but spectacular? 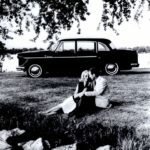 The Checker Model A14 could have changed our perception of Checker headlamps. 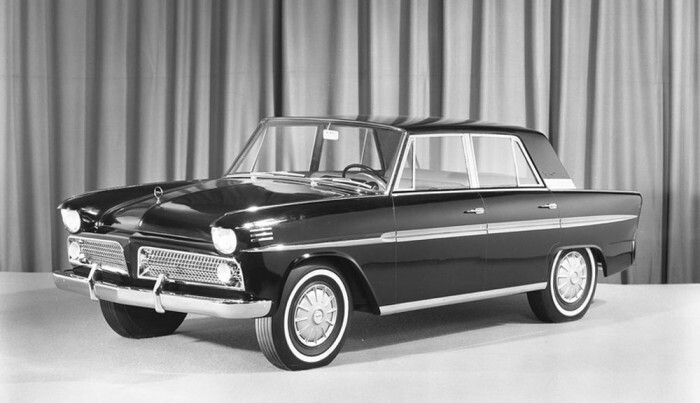 Little is known of the project, but in 1965 Checker Motor Corporation worked on a design of a new Checker, the Checker Model A14. The numerical model name was based on the pattern Checker established in 1947 with the introduction of Model A2, the Model A14 would replace the A12 Checker Marathon. 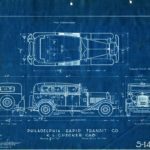 Chris Markin recently donated 75 CMC blueprints from the design drawing boards of Checker to the Internet Checker Taxicab Archive. 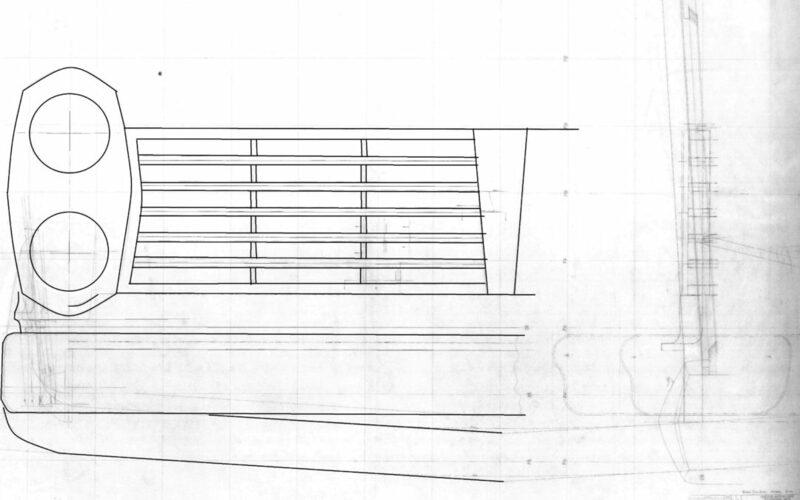 Spanning a period of 1946 through 1976, the blueprints have yielded a number of surprises. Probably the most interesting is Blueprint Number 649000 Layout Grill & Bumper Scale Full size Model A14 dated 1965. In all the years of collecting Checkers and Checker documentation, this is the first time this writer has ever heard of the Model A14. 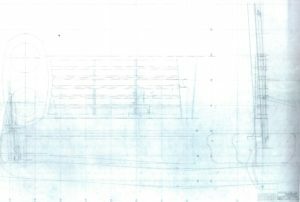 So what does the blueprints present? In fullsize scale: the grille, headlight and various bumper configurations are depicted. 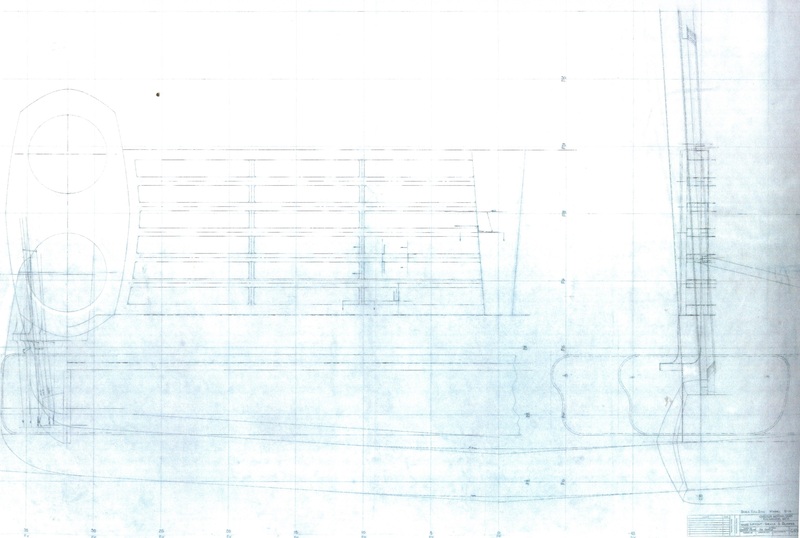 The drawing depict a full front view as well as a side view of the proposed new Checker. Based on the metrics, it’s clear that the A12 would have been reskinned on the outside, but the A14 would use the old A9 infrastructure. 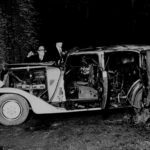 It’s also is clear that Checker was going to use styling cues to update the Checker with mid 1960’s American automotive styling trends, hense the quote above from Erick Ayapana, The Model A14 would utilize vertical headlights consistent with new car styling for 1965. Based on the rendering developed by the Internet Checker Taxicab Archive, it’s safe to say that the A14 would not make the Motor Trend list. In 1965 the Big Three offered automobiles with vertical headlights. 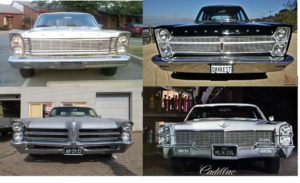 Chrysler and Ford bread and butter cars, the Ford Galaxie and Plymouth Fury were offered with vertical headlights. 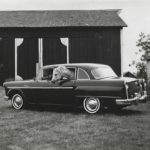 At GM the high-end cars the Cadillac and Pontiac were styled with vertical headlamps. Even AMC offered vertical headlights on the Ambassador, pretty much everybody was in the vertical headlamp game. 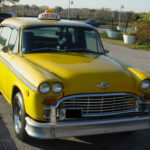 The Checker Model A12 had its routes in the original 1956 Checker Model A8. 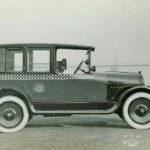 Blueprints recently donated to the Internet Checker Taxicab Archive indicate that the Model A8 was on the drawing boards of Checker in 1954. Essentially the proposed Checker Model A14 was a 1954 car with 1965 styling. 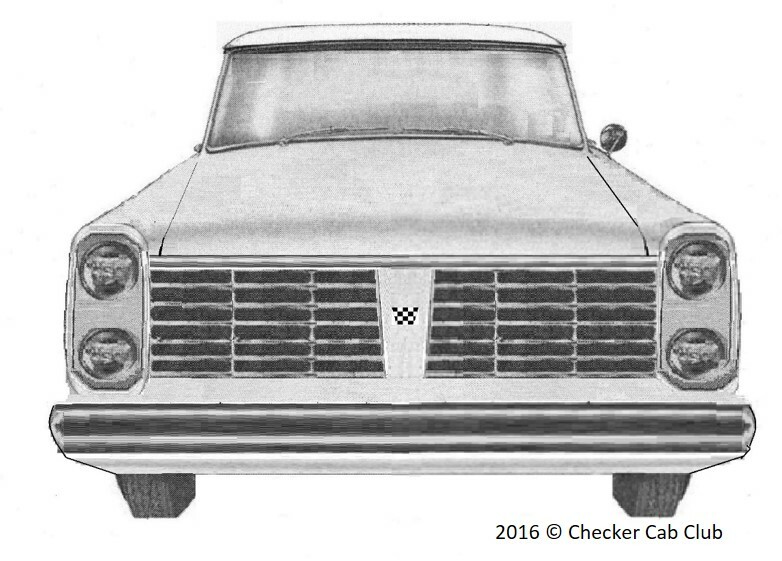 Using the magic of computer graphics we were able to develop an artistic rendering of the proposed Checker Model A14. Bottom line it didn’t work. 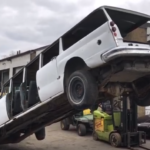 By 1965 most major American cars were longer and lower than the Checker, grafting 65 styling on a high, short and narrow Checker just was not complimentary. The core issue with the Checker Model A14 is that there is a major gap between the vertical headlamps which makes the overall appearance look awkward. The resulting car looks exactly like a 1950’s car with 1960’s styling grafted on to it, nothing more, nothing less. We have only seen the frontend, one can only guess what the rest of the car would look like if produced. 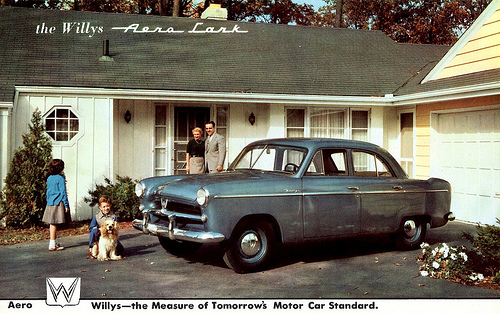 We do have a historical reference point, the 1953 Willy Aero. In 1963 Milwaukee based automotive designer Brooks Stevens took on the task of redesigning the Aero for its South American market. 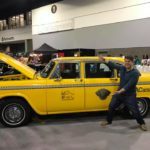 The result was, like the potential Model A14, a 1950’s car with 1960 styling, but Steven’s seem to successfully pull it off. 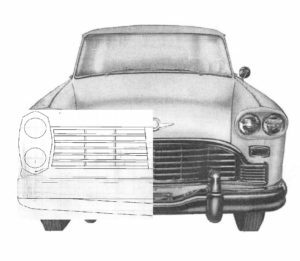 Stevens added a horizontal grille to the Aero, a popular design theme seen on many Ford, GM and Chrysler products in the early 60’s. Additionally the Aero received a squared off roof and straight edge rear fenders. 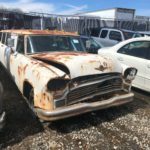 On top of the beltline, the Aero received a full length chrome strip similar to the Lincoln Continental and Ford Thunderbirds of 1961. The Aero was successfully produced until 1971, the restyling worked in South American. In a style conscious US car market, it’s unclear if the Aero would have been successful in the US market. Stevens was also successful in redesigning the 1956 Studebaker Hawk as the revised 1962 Hawk, again adding 60’s styling to a 50’s car. Many of the same themes used on the Aero were also used on the Hawk. The resulting 1962-64 Hawk is striking. 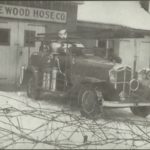 Perhaps Steven’s work at Willy and Studebaker were the inspiration for the Model A14? It’s not clear whether the A14 ever made it to the clay model stage. In the end Checker, decided not to produce the A14 and for many of us Checker fans it was probably a good thing. Had CMC modernized in the mid 60’s, we would never have the interest factor of a 50’s car being made into 1982. For more Checker fun check out Facebook page. 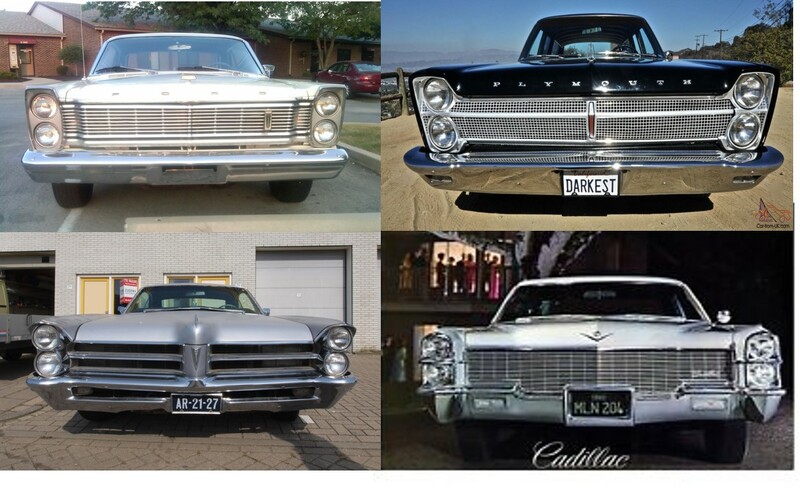 The pictures of the four stacked headlight cars are particularly unflattering, especially the Plymouth Fury. The use of a wide angle lens is no more flattering in automotive “portraiture” than it is in people portraiture. Other than that, thanks for aninteresting article! God I like the old cars. They don’t build them like this anymore.